If you feel that 2015 is the year to inject a new lease of life into your property, then look no further than the fantastic range of glass and glazing products offered by Sheerwater Glass this summer. We offer a myriad of home improvement ideas designed with an unmatched level of quality; as a company, we aim to fully satisfy our customer’s discerning tastes and requirements and help you make the right choice in lending your home a breath of fresh air for summer, and for many years to come. As a Surrey-based company with over 40 years of experience and expertise, we are on hand to advise on and to install that perfect new product you want, allowing you to gain the most enjoyment possible from the season; and all from the comfort of your own home. For those looking to introduce an elegant and dramatic change to their property, a conservatory is an obvious choice. These structures will not only increase the financial and aesthetic value of any property but also create a smooth transition from home to garden; all while bringing the practical aspect of additional living space for you and your family. A conservatory will bathe the rest of your home with extra light and allows you to enjoy the view of your garden all year round, whatever the weather. In summer a conservatory can provide anything from an elegant dining room, a play area for children, or simply a space to relax and unwind. 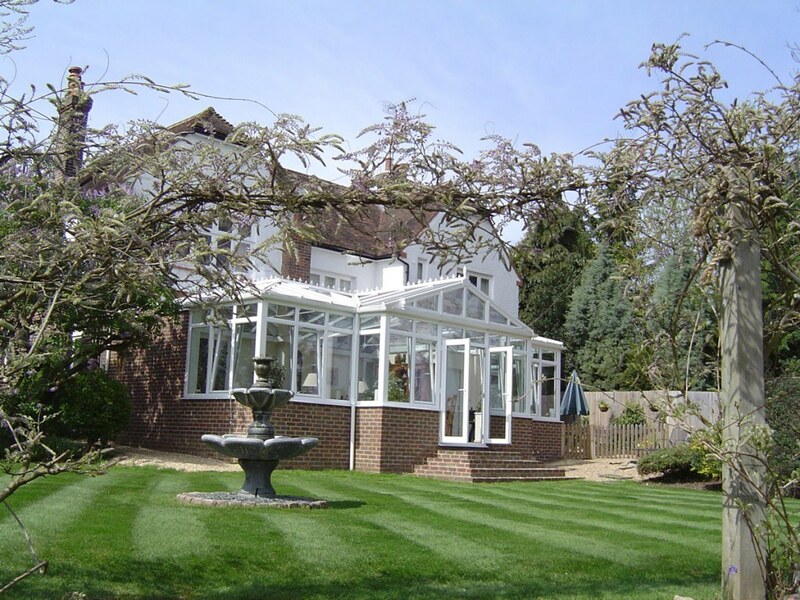 Conservatories are our speciality; here at Sheerwater Glass, we offer a range of conservatory styles. Choose from our range of Edwardian, Victorian and Mediterranean builds, or even timber construction for a more traditional and classy edge. All of these are tailor-made to help you make the right choice; Sheerwater Glass is on hand to provide you with what you need to make the perfect addition to your home. If you feel a conservatory is right for you, please confirm with your local council any need for planning permission; despite a relaxation in law, Sheerwater Glass will always advise confirming a need for this or not before any project is undertaken. For a discerning customer with the ultimate in luxury in mind, we are now proud to offer Solar Control Active Self Cleaning Glass in our conservatory window panes. Crafted with a special coating activated by UV light that breaks down organic dirt, these are further enhanced by then allowing rain to wash away any remaining or accumulating dirt. This glass, therefore, realises the dream of windows that will literally clean themselves, saving you hours of effort and giving you a conservatory that stays looking fresh and unspoiled all year round. It’s not just glazing for a conservatory that we offer. If you feel that any of the rooms in your property could benefit from a facelift, or have their aesthetic appeal heightened with an introduction of valuable natural light, then look no further than our range of Slimline Windows. Our team of glazing experts have created these windows with efficiency in mind. Slimline glazing means a much lower proportion of window frame to the glass pane itself – in many cases increasing the area of glass material by up to 12% – meaning that far more sunlight can enter a building. In addition to this obvious benefit, these panes are far superior in terms of energy efficiency; having undergone rigorous testing, they are proven to help prevent heat loss from your home. 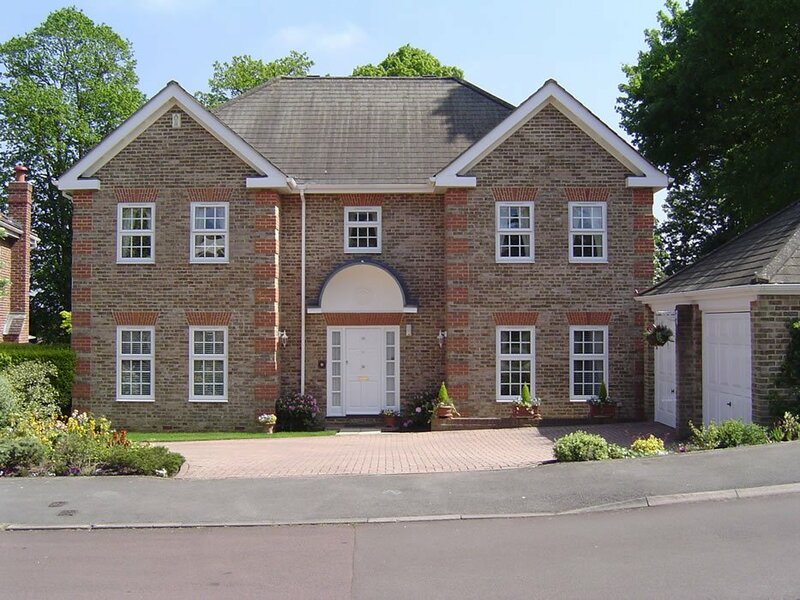 All Sheerwater Slimline windows are fitted with Trojan locking mechanisms, meaning our proven track record in providing security for you, your home and your family can leave you to rest assured that these windows will keep you safe and secure all year round. If you want to open up your home and create a classy transition between inside and out, but feel a conservatory is not suitable for your property, then a bi-fold or patio door from Sheerwater Glass may well be the product for you. A typical patio, or French door, is an elegant and traditional solution for an entrance or exit between home and garden. Bi-fold doors are becoming increasingly popular in the UK while remaining a special and aesthetically pleasing aspect that will only amplify the charm and character of a property. Our doors can fold against one another completely flat, maximising the potential of opening your home for those important family and social occasions in summer. With over 20 different varieties of folding design to choose from, we can create a b-fold door that will complement your home and garden and add a graceful charisma. 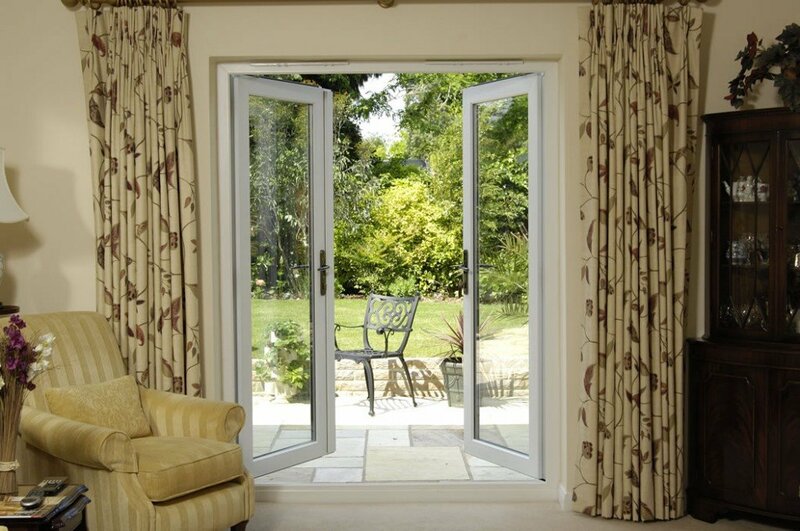 Both our ranges of patio and bi-fold doors are manufactured and installed with only the highest industry quality of security mechanisms, keeping you safe. 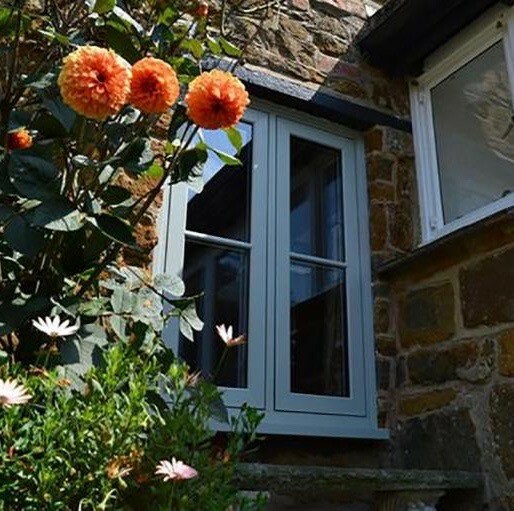 On top of our range of windows and doors, Sheerwater Glass offers a myriad of glazing products to provide stylish and affordable solutions to all areas of the home and garden. For example, many homeowners know all too well how unbearably hot a loft can become during the summer months. 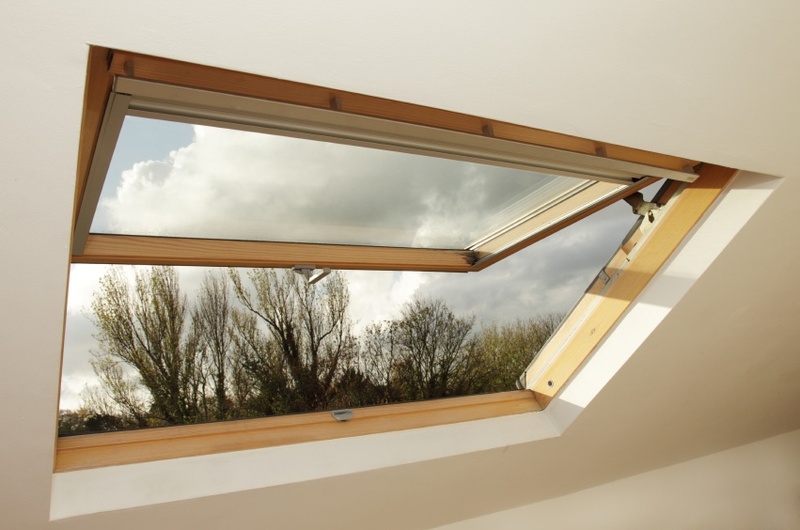 Effective temperature control can, however, be achieved with the introduction of one of our Velux windows into a loft roof, keeping you cool in summer while introducing natural light; in particular, these are ideal as a facelift loft conversion projects! For those customers keen to breathe new life into their garden, we also offer a wide variety of ideas to improve the outside of a property. Want to make a jaw-dropping addition to your decking that will be the envy of friends and neighbours for years to come? Then consider installing our beautiful glass banisters for decking. 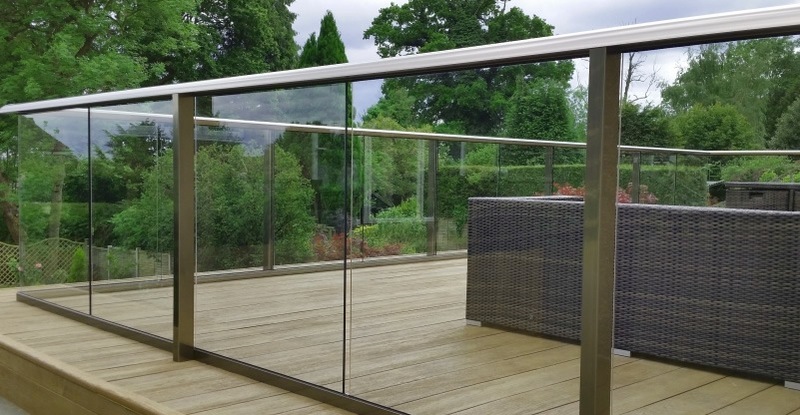 Crafted from toughened safety glass that will stand the test of time outdoors, this can enhance the view across your garden and create a stylish feature for you to enjoy. Or, if you want to make a statement at your next garden party or family BBQ, then our range of shattered tempered glass table tops may be the right choice for you, creating a focal and talking point for any event. Of course, these are as always crafted with only the highest level of quality and safety consideration that you expect from Sheerwater Glass. 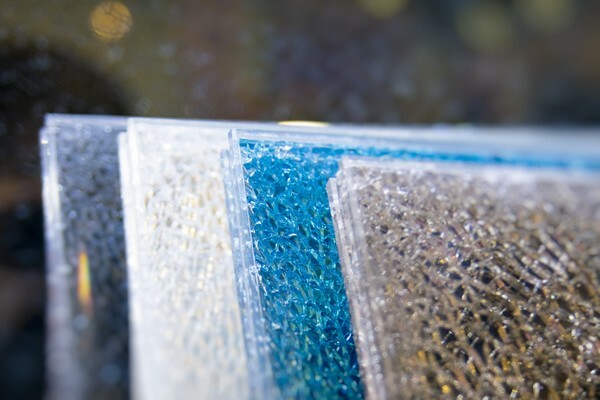 With such a wide variety of top of the range quality products and choices on offer, it is easy to see how Sheerwater Glass has remained a cut above the rest when it comes to glass and glazing. So if you are feeling inspired then contact us, and let us bring your home to life this summer.